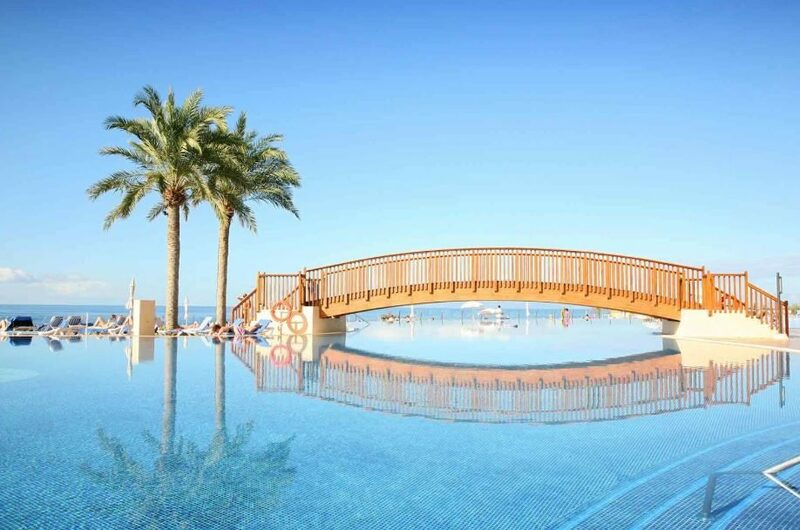 Perched on a cliff, overlooking the beautiful sea and La Gomera Island, this magnificent holiday resort offers an ideal base to spend a relaxing time in a unique location. 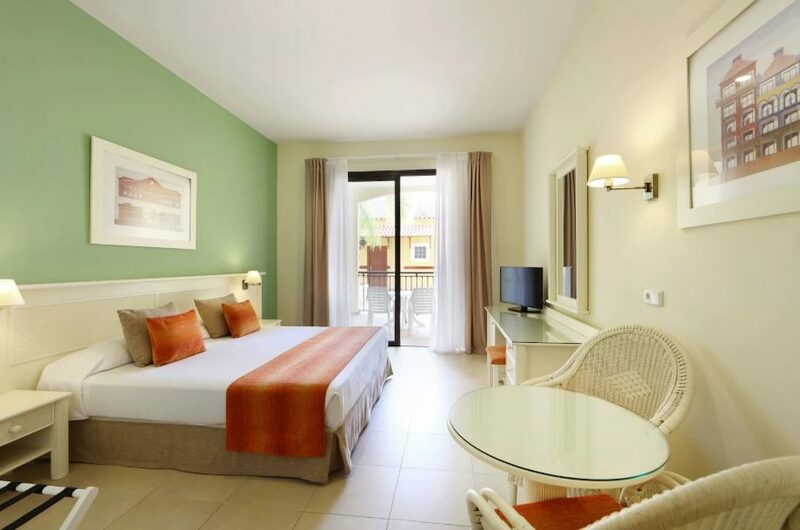 This colourful Costa Adeje hotel combines a laid back vibe for adults with plenty to keep the children entertained. Guests can relax beside one of the two spectacular lagoon style swimming pools. Or on dry land, the varied line up of activities includes football, basketball, volleyball, archery and mini golf. The children get a look in too with a fun packed mini club to enjoy. 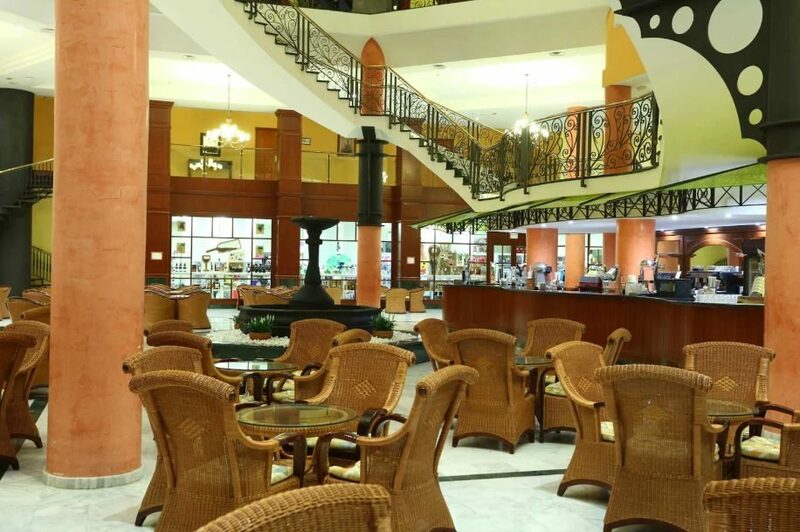 Step inside the hotel and uncover light and spacious lounges, with abundant seating to relax with a drink or book. This stylish feel continues in the guest rooms and suites. The hotel presents a charming Mediterranean decor and feature spacious and comfortable rooms with modern facilities such as air-conditioning, a satellite TV for guests' entertainment and a private balcony. The dining scene opens up a world of flavours at mealtimes. 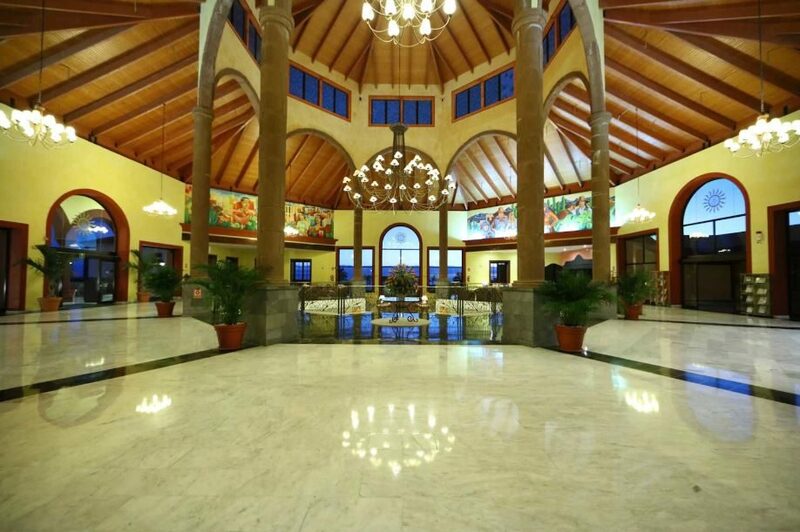 The main restaurant is a buffet style affair with tasty dishes on the menu three times daily. Snacks and light bites are served in the snack bar. Go down the a la carte route and tuck into Italian and Brazilian specialities. Guests may spend their day in the sparkling outdoor pool, enjoying some water sports on the beach or pamper themselves with a range of relaxing massages and beauty treatments offered by the spa. 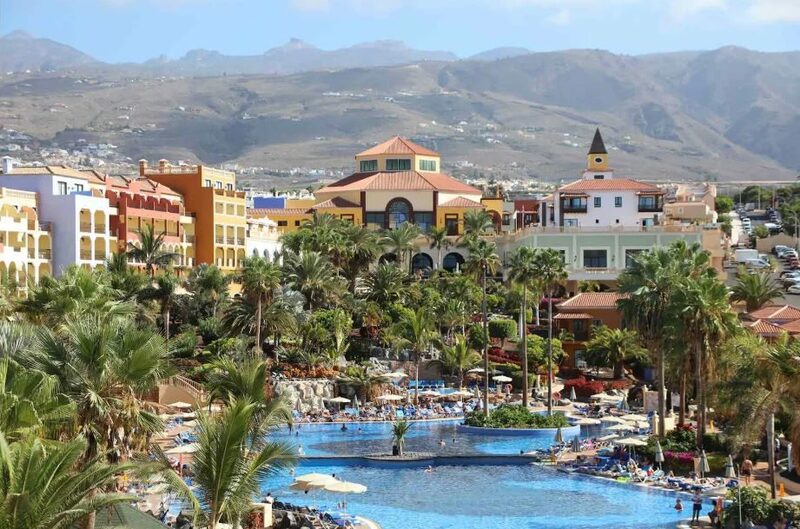 Discover why the Bahia Principe Costa Adeje is a popular place to stay for holidays in Tenerife. The Bahia Principe Costa Adeje has all the facilities you would expect. Highlights include: 2 outdoor swimming pools with sun terraces, sunbeds, parasols and towel service, kids pool, whirlpool, spa area, gymnasium, buffet restaurant, a la carte restaurants, lobby bar, pool bar, mini club for 4 to 12 years, pool games, aqua splash and 24 hour reception with laundry and medical service. Sports on offer are football, volleyball, basketball, tennis, aerobics, mini golf, diving school, darts and archery. 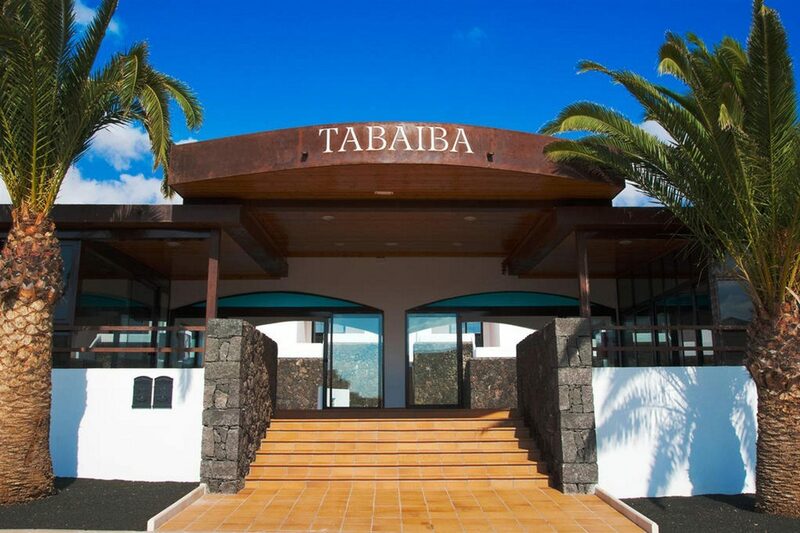 Guests also have access to the facilities at the nearby sister hotel Bahia Principe Tenerife. 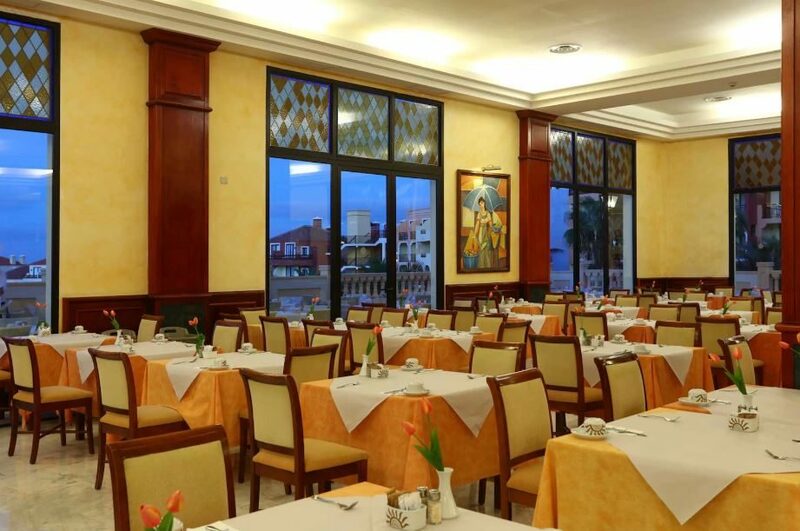 The hotel presents a charming Mediterranean decor and feature spacious and comfortable rooms with modern facilities such as air-conditioning, a satellite TV for guests' entertainment and a private balcony. Some of the rooms offer a stunning sea view as well. Sample different flavours from around the world, including typical Spanish dishes as well as delicious International cuisine. There is also a lobby bar and poolside bar for all your hot and cold beverages needs. The snack bar is open throughout the day for light bites and snacks. Pueblo Principe shopping and leisure centre also hosts various bars and the La Fiesta Sports Bar.